Here are some recent articles I've written that are available to download. 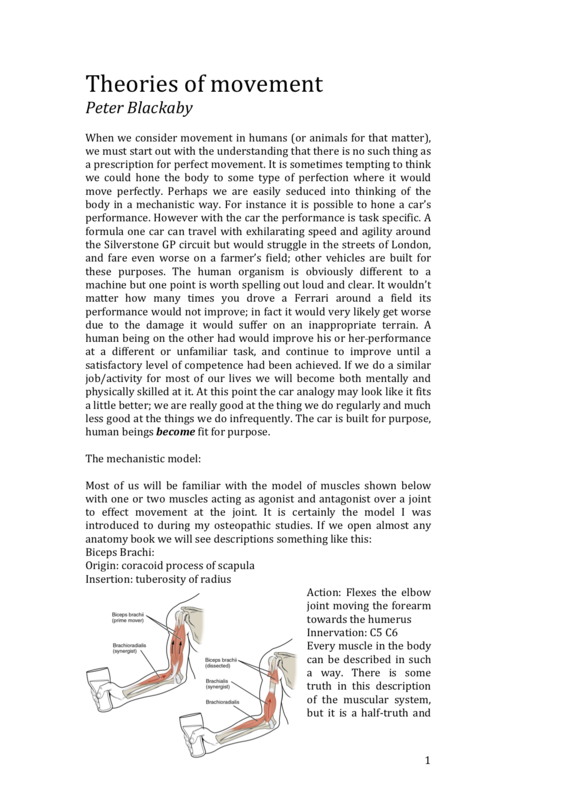 Bodies respond to the way they are used; more than anything, they are adaptive. 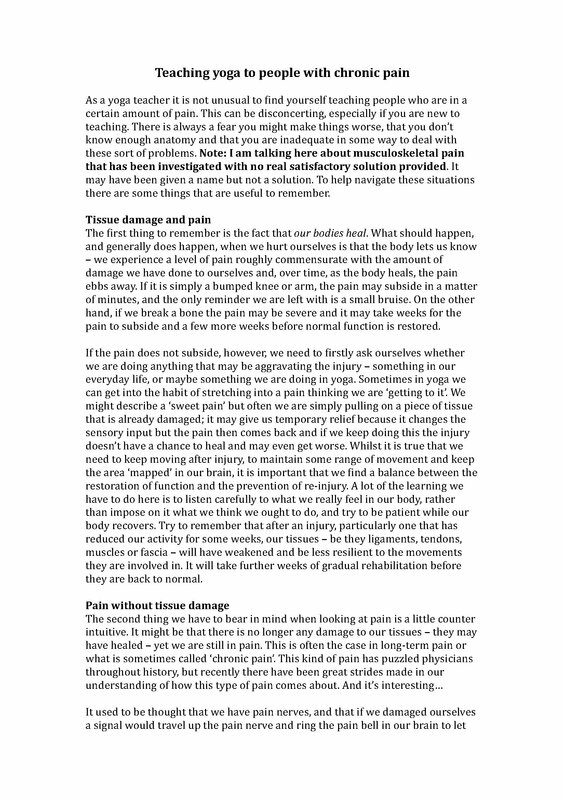 Some useful things to help navigate the often disconcerting situations we can find ourselves in teaching people who are in pain. 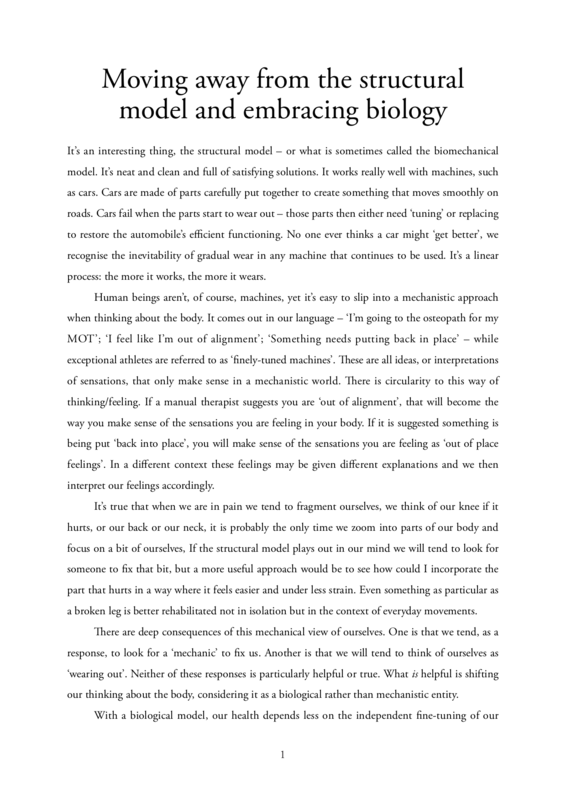 An article I wrote to support a lecture I give on movement. 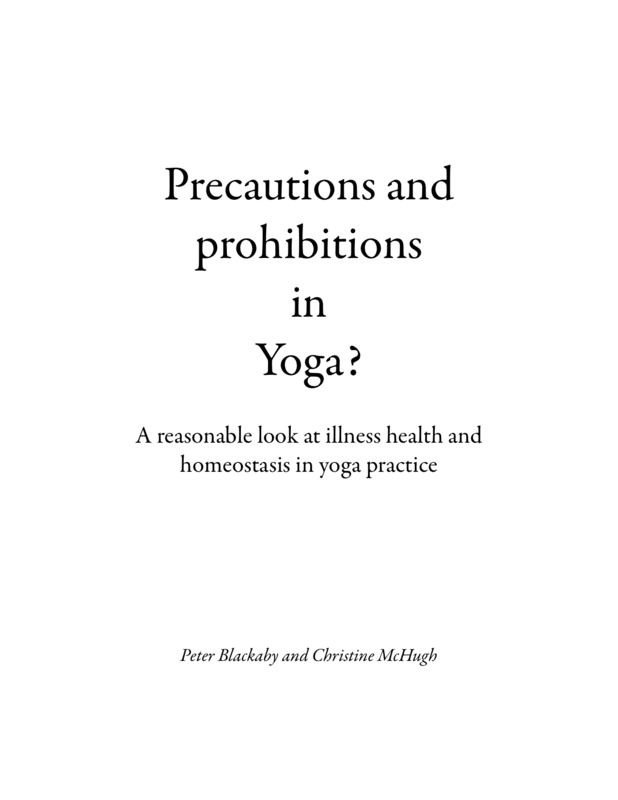 Precautions and prohibitions in Yoga? 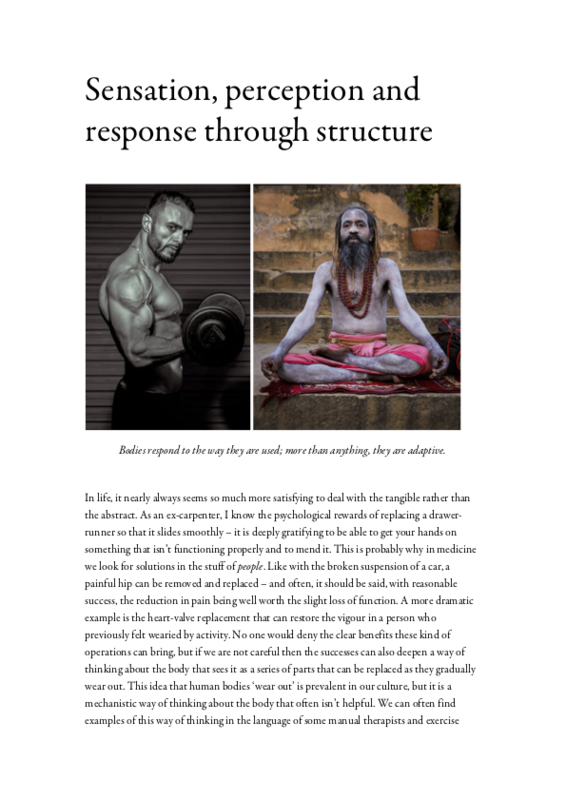 An article I wrote with Christine McHugh discussing illness, health and homeostasis in yoga practice. An article written for Spectrum, the British Wheel of Yoga magazine, discussing recent claims that yoga practice can cause injuries.